Washington’s response to 9/11 may have been over the top, but it sent the right message. India’s sleepy reaction to the terrorist assault on Mumbai a year ago today is an invitation to another attack, says M.J. Akbar. Delhi: The ebb from outrage to rage, its decline to umbrage, and then a drift to amnesia is the narrative of the 12 months since the terrorist assault on Mumbai. America’s immediate response to 9/11 was over the top; India’s phased reaction might more justifiably be described as under the table. But a message went out from Washington: You provoke America at your peril, no matter what the collateral damage. Since the attack last year that shook India and startled the world, Delhi has played piped music before one trapped cobra and called it an opera. Then it fell asleep at its own show. It is both easy and pointless to blame the government. Every government in Delhi keeps a thermometer in its holster and calibrates its decibel levels according to ground temperature. If it’s warm, it will blow hot, as Delhi did so vigorously between November and January. If it has cooled, Delhi will cool it as well. It is meaningless to blame our opposition. The Indian opposition has become impotent without ever turning potent. A politician will only be as resolute as the citizen, and Indian sensitivities have been dulled by a culture of complacence. Even trauma has been reduced to television drama; once the scenes are played out, our bluster slowly splutters into silence. It is possible that the military-intelligence-political establishment of Pakistan understands us far better than we understand them. They must have dismissed India as a soft state whose breast-beating is easily calmed by tokenism. On the first anniversary of 11/26, it is not Pakistan alone that is laughing at India’s weakness; Washington, too, has measured the tensile strength of a nation that finds unique ways to postpone its threats to the next calamity. Last year India gloried in the belief that America had promoted it to the ascending plateau of a regional power, en route to the status of a world player. Last week President Barack Obama used a communiqué in Beijing, of all capitals, to tell us where we stand in his estimation, as one of the nations of South Asia whose border problems the worldwide partnership of equals, America and China, would help sort out. The lean and lissome Obama has learned to slap with a long hand. Obama did not have a word to say, incidentally, about the latest revelations from Pakistan’s rogue nuclear scientist, Dr. A.Q. Khan, on Chinese help in fuel and technology for Pakistan’s nuclear weapons program, a clear instance of illegal proliferation. Do not be surprised, however, if India gets a lecture or two on nuclear proliferation. War is not the only definition of strength. This fallacy has been promoted in India to disguise a policy of inaction. We have been cheated by this argument, as it is obvious that war can have attendant consequences capable of deadly havoc. But there is a whole array of diplomatic and economic instruments that can be mobilized, nationally and internationally. India had the world’s sympathy a year ago. It was squandered by inaction. Pakistan maneuvered its way out of international condemnation with some brilliantly painless promises. Islamabad bought the time that Delhi sold for a pittance. Pakistan has used the time to transform from accused to victim, blaming India at every forum of fomenting secessionism in Balochistan and even arming the Taliban in Swat. After a period of softspeak on Kashmir, it has ratcheted up the confrontation at the verbal level. Pakistani President Asif Ali Zardari recently presided over a meeting of his party’s central executive committee, during which, in the words of Najam Sethi, an eminent Lahore editor, there was “a reassertion of Pakistan’s maximalist position by both the prime minister and foreign minister on the resolution of the Kashmir dispute.” This is probably a preemptive measure. Obama likely leaned on Dr. Manmohan Singh during the latter’s visit to the White House, pushing for a compromise on Kashmir acceptable to Pakistan. This will never be officially acknowledged, of course, since, for the record, America does not interfere in this bilateral conflict. Privately, Obama might even have waved a lollipop called a future seat in the Security Council before India as a distant prize for good behavior. India had the world’s sympathy a year ago. It was squandered by inaction. Pakistan maneuvered its way out of international condemnation with some brilliantly painless promises. Islamabad bought the time that Delhi sold for a pittance. Normalcy with Pakistan is a good idea: Put me down as lead advocate of the band of peace missionaries. But before we seek normalcy, we must know what it means. Does it mean reward for unrepentant terrorism by post-Shimla Pact adjustments to the map of Jammu and Kashmir? It used to be said that India does not have a foreign policy, just a Pakistan policy. We might have step taken a further step: We may not even have a Pakistan policy now. We seem to indulge in a series of engagements with different nations, as if the world were an old-fashioned marketplace in which you could haggle your way through different shops, purchasing what was available at whatever price, without a coherent theme linking departure to destination. Some politicians take recourse to a fudge, and sell the notion of India as a soft power. This is a useful screen when you have turned the nation soft, instead of making it powerful. If we were in the midst of the Garden of Eden, this would have been laudable achievement. But we live in a region where terror haunts the headlines. Amnesia is an invitation to the next terrorist assault. 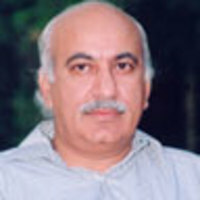 Well known Indian journalist M.J. Akbar is the editor of Covert, a fortnightly magazine of current affairs, a blogger and the author of many books, most recently Blood Brothers.